This year we successfully continued the educational project "From the League of Nations to the United Nations at 70". Due to current aggravation of the political situation in the world and the failures of the Dialog of Civilizations which has been on the UN agenda for several years, in our teaching we concentrated on pre-war years and the pre-war situation in the late 30s which many political analytics whether they are right or wrong tend to compare to the present situation in the world. Photo 1: Celebrating the 70th Anniversary of the United Nations within the framework of the project "From the League of Nations to the United Nations at 70". 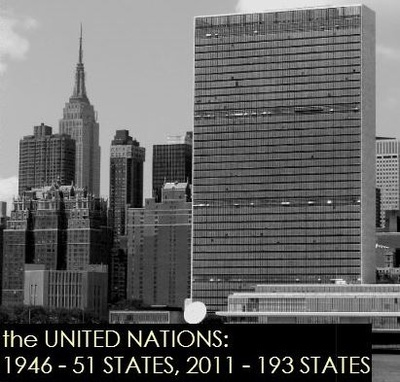 Photo 2: "the United Nations: 1946 - 51 states, 2011 - 193 states". Indeed during the pre-war years leading political powers failed to establish insurmountable obstacles to the spread of the fascism which eventually led to tragedies of the Second World War. These days emerging ISIS presents a major threat to the world piece and security and the fight with it calls to the worldwide anti-ISIS efforts. From the League of Nations to the United Nations at 70 from WHD on Vimeo.